Chicken Crescent Rolls are an easy and fun dinner! 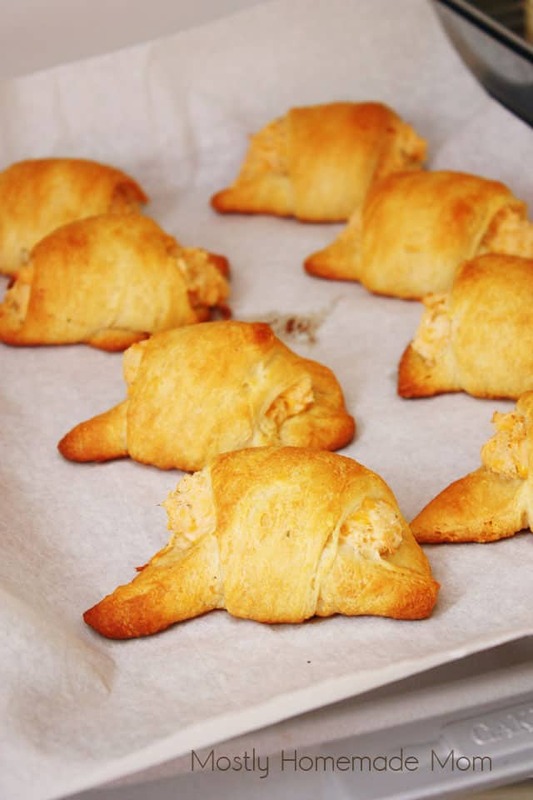 Refrigerated crescent rolls filled with chicken, cream cheese, cheddar, and ranch – yum! 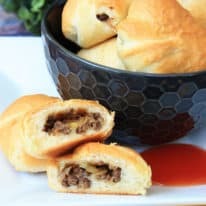 We’ve just entered baseball season in this house and these Chicken Crescent Rolls have saved dinnertime more than once! 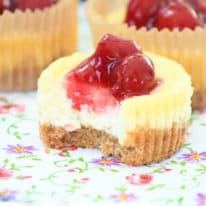 These are so easy to prepare the filling, roll, and bake. 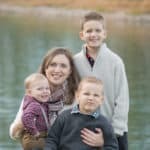 Then your family can just reheat and eat whenever it’s time for a quick dinner as you’re running out the door. 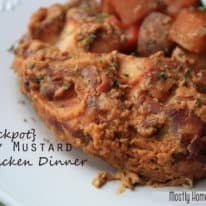 I just love dinner ideas like this one! 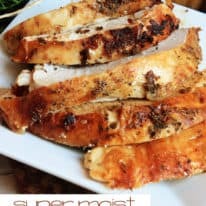 How much chicken is needed for this recipe? About 2 cups of cooked chicken. Canned chicken can be used as well to cut time! 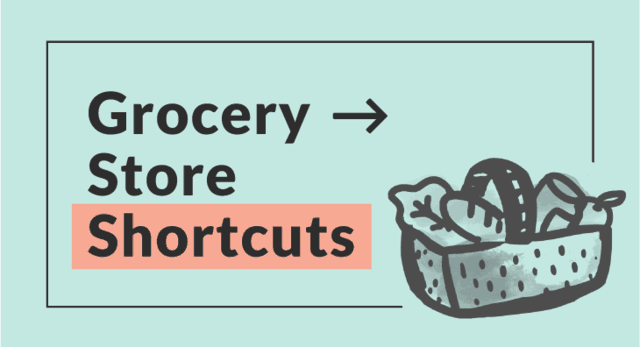 It’s recommended to eat these within a week when refrigerated. What kind of crescent rolls are used? Pillsbury canned refrigerated crescent rolls, or the store brand equivalent, is what works best for this recipe. 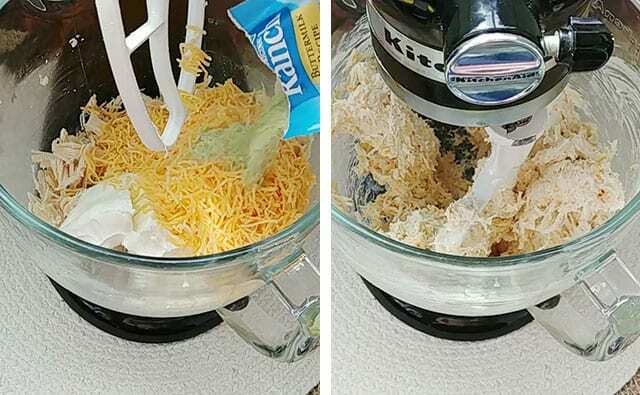 Add cooked chicken to the bowl of a stand mixer and shred. Add in cream cheese, cheddar, and ranch seasoning and mix well. 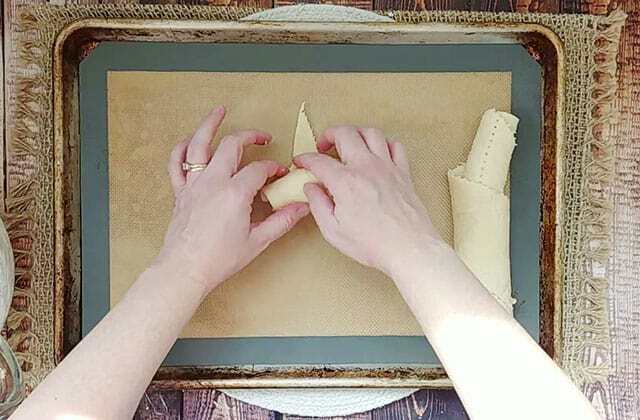 Separate crescent roll triangles. Scoop a generous amount of chicken filling on the wide end of the crescent roll. Roll up crescent roll around chicken filling. 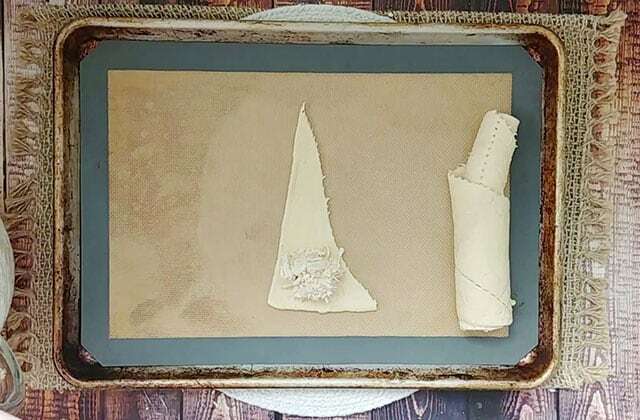 Bake and cool slightly before serving. These are great frozen! Wrap up individual rolls in foil and freeze. 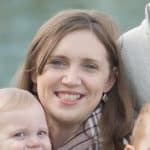 Thaw in the fridge, or unwrap from foil and reheat in the microwave. 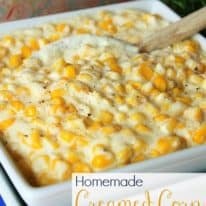 This is a great freezer meal to have in you stash! 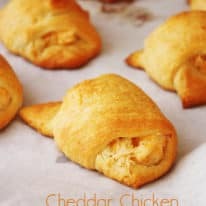 If you liked this recipe for Chicken Crescent Rolls, leave a rating and a comment below this post! 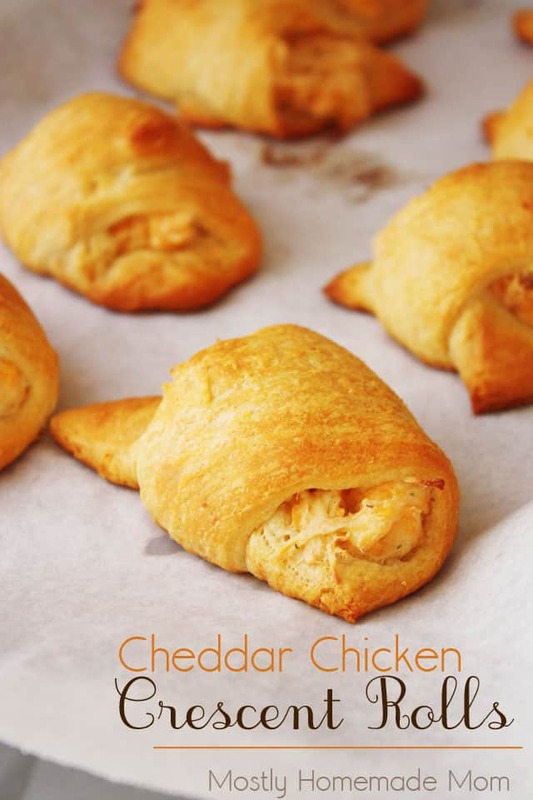 Chicken Crescent Rolls use cooked chicken, ranch dressing mix, cream cheese, & cheddar and rolled up in buttery crescent rolls - an awesome weeknight dinner that leaves perfect lunch box leftovers! Place cooked chicken breasts, cream cheese, and ranch dressing the bowl of a stand mixer. Turn mixer on to fully shred the chicken and combine the other ingredients well. Separate each crescent triangle and spread a generous amount of chicken mixture onto each triangle and roll up. Place filled rolls on greased cookie sheets. Bake rolls at 350 for 20 - 30 minutes or until rolls are golden brown.